The sensational case of honour murder in Miryalaguda got a new twist in its recent investigation. Police finally caught the murderers and recovered complete execution plan details. 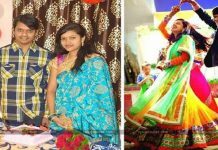 According to the Telangana Police, the bride’s father Maruti Rao has contacted a contract killer named Bali for one crore of rupees. Bali who met a killer named Subhash Sharma in Rajahmundry Central jail became friends and partners in crime. After receiving the offer, Maruti Rao planned the execution of Pranay many times but withdrew the attempt at the last minute. With the help of his wife, Maruti Rao tracked the whereabouts of Pranay and asked Bali to kill Pranay. Immediately Bali directed Sharma and the latter did this damage to Amrutha who is carrying a five months baby. Cut to the present, Telangana Police in their deep investigation uncovered these dark facts and went in search of Sharma. Finally, with the help of Bihar Police, they arrested Sharma in the State of Bihar and sent to the remand. Finally, this case came to the conclusion with the arrest of all the culprits. Wife of the demised, Amrutha demands a lifelong imprisonment for her father.